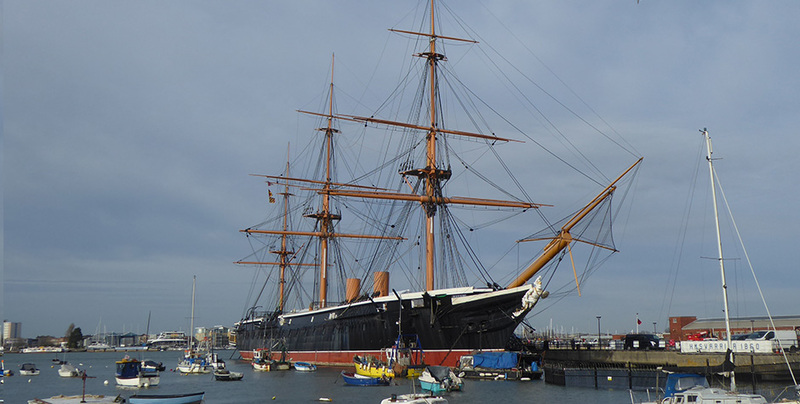 In the spring of 2018 our architectural paint researcher started a programme of research to the interior of The National Museum of the Royal Navy’s HMS Warrior at which has been on display at Portsmouth Historic Dockyard for over 30 years. HMS Warrior is the only surviving Victorian iron hulled warship, now a visitor attraction at the Historic Dockyard Warrior also served as a support ship for HMS Vernon and was later retired to Pembroke Docks as an oil fuel hulk. 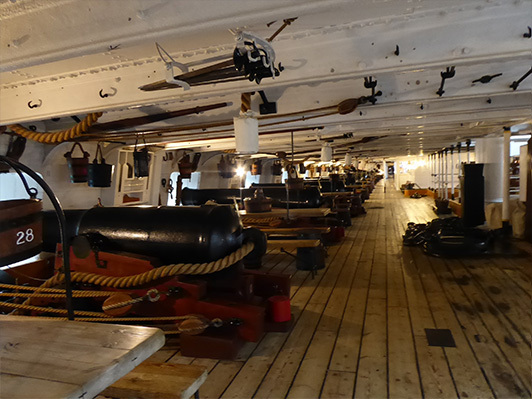 This resulted in the removal of many original fittings and later restoration when the ship’s significance was realised. The historic ships conservation team at the National Museum were interested in what information could be gleaned from paint research to inform future conservation needs and interpretation proposals. Copyright © 2016 Hirst Conservation Ltd © Collective Trade Mark of PACR Accredited Conservator-Restorers. Hirst Conservation is a trading name of Hirst Conservation Limited. Registered Office: Laughton Hall Farmhouse, Laughton, Sleaford, Lincolnshire NG34 0HE. Company Registration No. 09797372 (Inc. England).